On Sale Now! 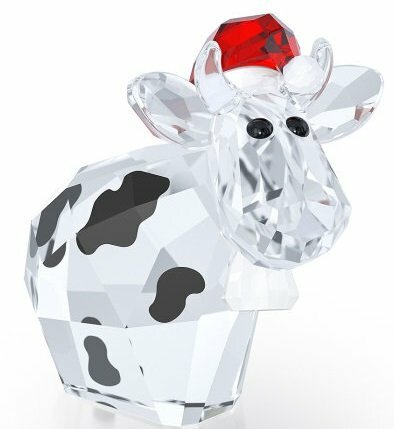 Save 2% on the Swarovski Limited Edition 2016 Santa Country Mo Holiday Figurine by Swarovski at Two Clock. MPN: 5223608. Hurry! Limited time offer. Offer valid only while supplies last. The perfect way to start or expand your MO collection - and a great gift idea too. The iconic MO is back, and she's bursting with festive spirit! The perfect way to start or expand your MO collection - and a great gift idea too. The iconic MO is back, and she's bursting with festive spirit! this joyful design shimmers in clear crystal with black printed spots and a playful red and white crystal hat. Only available in 2016, the year of issue is engraved on the bottom of the piece.